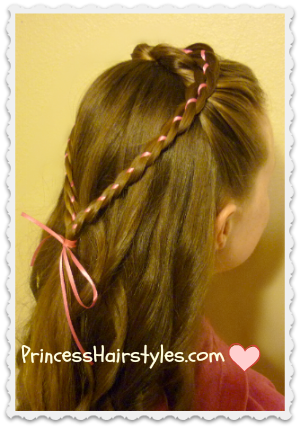 Yet Another Braided Heart Hairstyle! 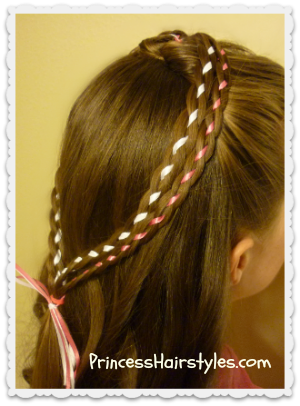 If you have been following our blog for awhile, you know that we have enjoyed sharing Valentine's Day Hairstyles each year since 2008 (many of which have incorporated hearts.) Of course, this year is no different. Hope you aren't all tired of hearts! I think Valentine's day is probably our favorite holiday for hairstyling. Interestingly, this "4 strand braid heart" was actually the very first hairstyle/photo we shared on Instagram when began our account last February. (Yay for almost a year on there!) We had a few requests for a tutorial when we posted the style last year, so I thought it would be a great hairstyle to create a video for this year. A couple variations of this heart hairstyle are shown in the photos below: In the photo on the left, 2 ribbons were added and we made 2 braids on each side, for a double heart look. The heart on the right was made the same way (as shown in our video) except thicker ribbon was used to form the braid. 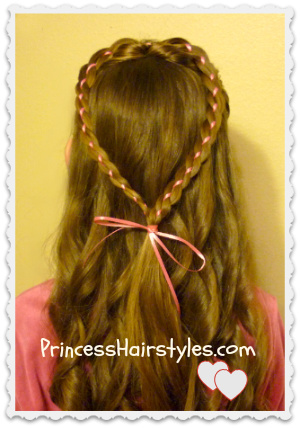 Amazing how different ribbon can change up the whole look of the braid and style! 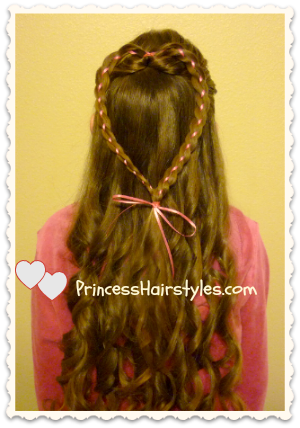 4 strand ribbon braid heart video tutorial: Click here to watch the video directly on YouTube. P.S. We used our standard curling iron to create these curls. Curling tutorial here. Click here for many more heart and Valentine's Hairstyle Ideas.